Life insurance is one of the insurance products that we often overlook. We tend to think that we’re invincible, and let’s face it, preparing for your untimely death is not fun to do. However, buying life insurance is one of the most selfless acts you can do for your family. Life insurance exists to help you protect you and your family from an untimely death which results in emotional and financial distress. Having said it like that, the importance of life insurance is immeasurable, yet so many young families do not carry it. Let’s take a look at the difference between term life insurance and whole life insurance . . . and which policy is right for you. Term life insurance is a simple death benefit life insurance policy. You buy a specific amount of coverage, and the policy covers you for a specific amount of time in the event of an accidental death. It’s very simple. If you buy $500,000 worth of coverage on yourself and you die in a car accident before the end of the term, your beneficiaries would receive $500,000. The word “term” means that there is a specific amount of time that the policy lasts for. Typical term amounts are 10, 20, and 25 years. At the end of the term, the policy expires and you are no longer covered under the death benefit if you were to die after the end of the term. Term life insurance is very competitively priced. A healthy person in their thirties could buy $500,000 worth of coverage on a 20-year term for $15 to $30 per month. The cost is inexpensive, and the policy is simple. If you die, you win (so to speak). If you don’t die, you had the peace of mind of being covered, and you paid pennies on the dollar for the coverage. The main disadvantage of term life insurance is that it has an expiration date. If you bought a policy at age 30 for a 25 year term, it would expire at age 55. If you try to buy more life insurance at age 55, you will be charged a much higher premium because you are not much older and a higher health risk. However, if you have a good financial plan set in place, at age 55 you should be able to self-insure your death benefit and there is an unlikely possibility that you have dependents that depend on your income. 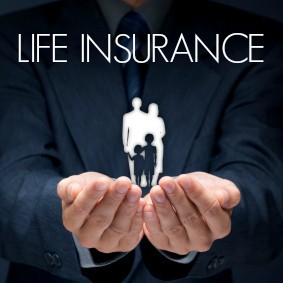 Permanent life insurance has dozens and dozens of different products. Any life insurance product with the name whole, variable, or universal is most likely a permanent or cash value life insurance policy. These policies often offer a death benefit along with a “savings account” product attached to the policy. They also often offer various other insurance coverage benefits. You pay a higher premium than term life insurance, and a portion goes to the premium for the death benefit, and another portion goes to the savings account attached to the policy, and it grows over time. Some people like the added benefits attached to these policies, and there are sometimes tax benefits associated with the savings portion of the policies. This varies based on the type of product. Also, the premium typically stays the same from the time you purchased the policy and there is no expiration date on the policy. The premium on permanent life insurance is very high. It’s common to pay somewhere between $75 to $100 per month even as a younger, healthy individual. Also, many of these policies have high fees associated with them, and many policies take the entire premium for the first year or two, rather than contributing to the savings portion of the product. The savings rates attached to these policies are not good, and they are highly unproven. Salespeople love to boast “estimated” returns, but they often do not boast actual returns over a long period of time. If a person dies with a permanent life policy, the savings portion goes directly to the life insurance company, not the beneficiaries. I am not a big fan of permanent life insurance at all. Life insurance salespeople push these policies for one reason: they make a much bigger commission selling these policies than they do with term life insurance. If they do sell a term policy, most life insurance companies want the client converted to a whole or universal life policy within five years. This is because they make more money off the client in the long-term if they get them hooked on a permanent life policy. Not all people that sell life insurance are like this, and there are plenty of good, honest salespeople out there, but I almost got into the business a few months back, and I walked out of an orientation disgusted at how little regard most insurance companies have for an individual’s overall financial plan. Term life policies are perfect for getting affordable coverage when you need it most. Most people need life insurance when they have dependents that rely on their income. If not, what good does a death benefit do for you? Make an informed decision, but make sure you do a lot of research on permanent life insurance before a slick salesperson convinces you that permanent is the right policy for you. What type of life insurance do you have? What type are you thinking of getting? Leave a comment! This article was originally published October 17th, 2012. Thank you for this article. I agree with you completely that term insurance is a great fit for most people. It is most important to have adequate life insurance at an affordable price. Most people don’t need the bells and whistles of permanent insurance. It’s definitely an area no one thinks about (they just see the cute MetLife commercials with Peanut characters). It’s tricky, like you said, because you could get sucked into insurance you don’t need. Life insurance is so important, but it’s unfortunate that most people don’t really understand how important until something bad happens. Disability insurance is also very important. I have a permanent policy with my workplace, which serves me well (or, it would if I passed away) but it’s not for very much. So, if I do die, my family will only get 3x/yearly salary.